Hi Girls, I will review one more patanjali product today. This is the Patanjali Saundrya face wash. 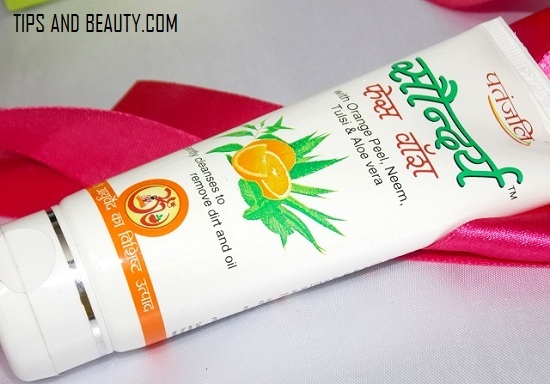 This face wash is enriched with the Neem, orange peel extracts, Tulsi and aloe vera gel. I got this Patanjali Saundrya face wash because of these ingredients only as these ingredients are very good for the pimples and acne prone skin. 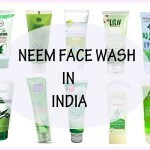 I like using facial products which contains neem as the ingredient. 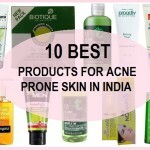 As neem possesses anti bacterial properties which helps in eradicating and healing the pimples from the face. So let’s starts this Patanjali Saundrya face wash review. 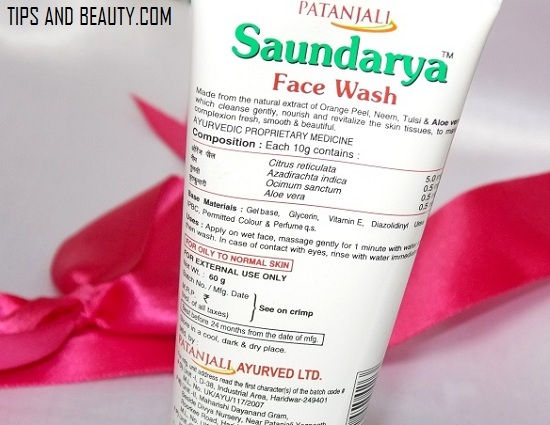 Price of Baba Ramdev Patanjali Saundrya face wash: Cost of this face wash is 60 rupees for 60 g. You can get Patanjali products either from the patanjali stores or from the patanjali online shop. 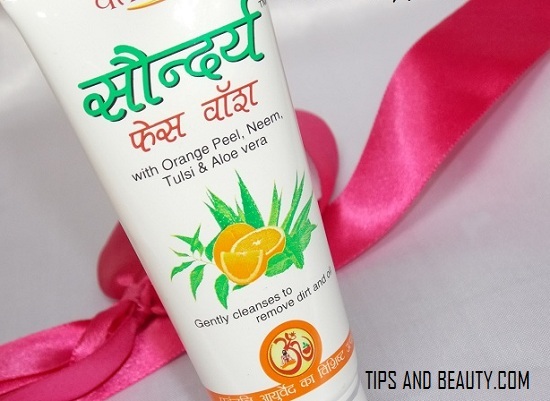 This face wash has the natural herbal ingredients like neem, orange extracts, Tulsi and aloe vera gel. 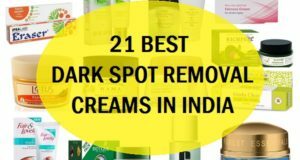 These ingredients are good for skin type which is very oily and pimple prone. 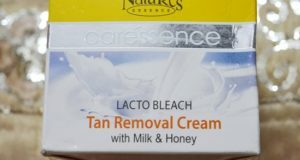 I was checking on the pack about the list of the ingredients of this face wash but I can only see these key ingredients but the complete ingredients list was written /mentioned nowhere. As I said that a little quantity of this enough. 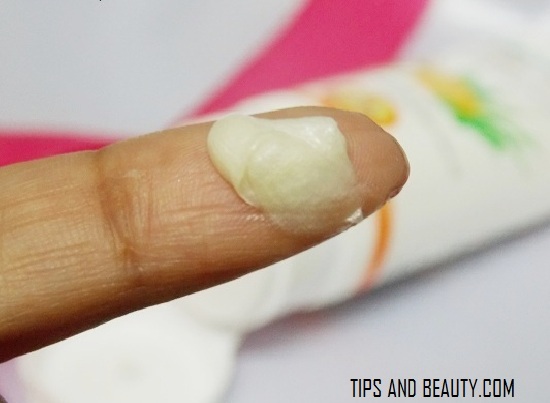 This creates soft foaming lathers. 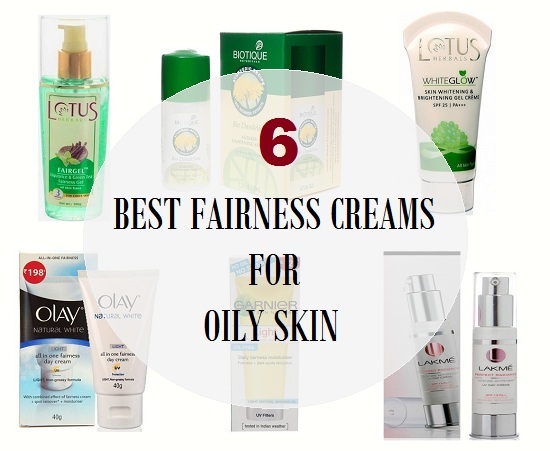 These lathers are very creamy and cleanses the skin well. It has a very herbal smell which smells very good. I will just massage it for few second like 10 seconds and then will rinse this face wash off. After the wash, my face looks bright and very fresh looking. You can understand that when the face is oily then a face wash that makes the face oil free, then the skin appears bright and revitalized. 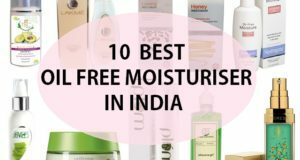 There is no sebum, oils or dryness. 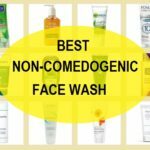 I just hate facial cleansers which dry out my face. This makes the skin clean and clear but does not control the oils, My skin will start to secret the oils after 2-3 hours again. But that is fine with me. 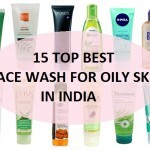 This is a good face wash for oily to normal skin. 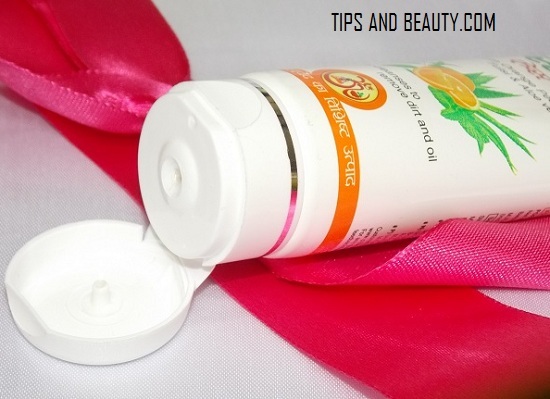 It can also remove non waterproof makeup from the face. Men too can try it. They have not shown the full list of ingredients. 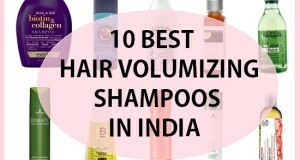 It does not control oils and sebum production for too long. 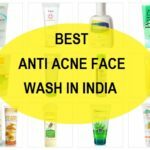 Take: Patanjali Saundrya face wash is a very affordable product that is good for oily skin. 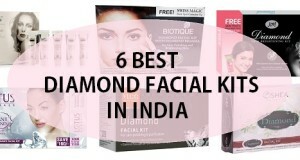 It removes oils and dirt from the face and makes skin look brighter.